I have been lucky enough to have spent most of the last month on holidays in Europe (you may thank the WordPress software for automatically uploading a steady stream of queued articles while I was away) and saw a number of things which may be of interest to followers of a Green Path. 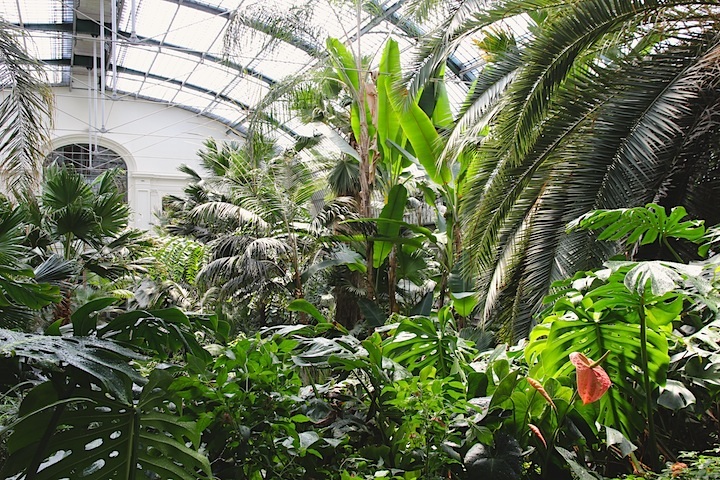 Among them was a special exhibition at Frankfurt’s Palmengarten, a botanical garden specialising in palms and other tropical plants. 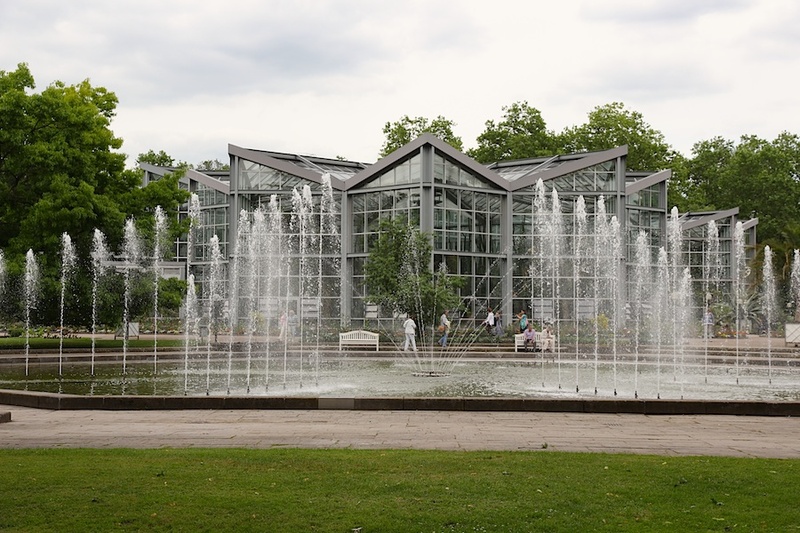 Being in the middle of non-tropical Germany, it relies heavily on conservatories. One of the older conservatories houses From the New World until September 22, 2013. The show was a real eye-opener to me, not because I didn’t know the plants but because I had not realised how much of our food comes originally from the Americas. We’re a European culture perched on the edge of Asia, after all – surely our main foods reflect that? No. 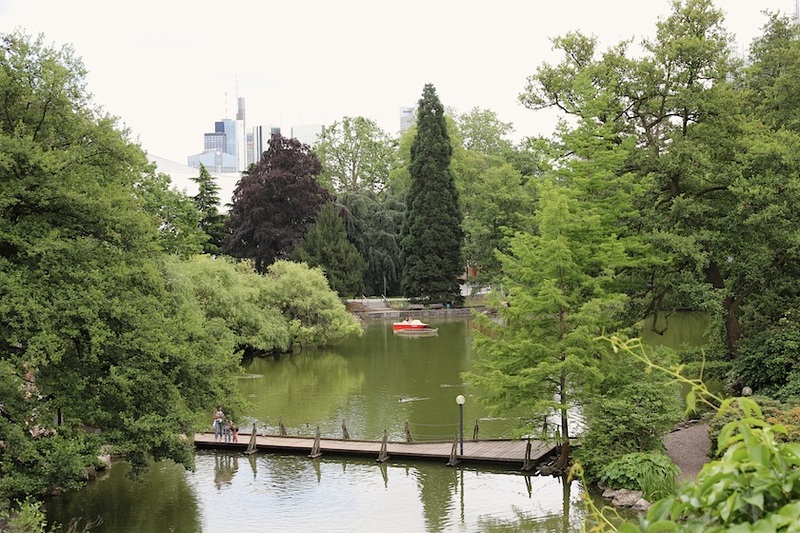 The text from this point onwards is taken directly from the Palmengarten’s site, although the photos are mine. The site offers all the English texts as a pdf but I am not sure how long it will be available so I have copied the sections I found most interesting for one reason or another; some of them are shorter here than in the original so it’s worth clicking this link to see if the pdf is still available. European grocery shops nowadays are stocked with fresh fruit and vegetables derived from plants that are native to the Americas. Many customers take this produce for granted without being aware that they once “sailed the ocean blue” in order to reach Europe and initially either were regarded as oddities or were as precious as gold: potatoes, tomatoes, beans, pumpkin, avocado, pineapple, corn, cocoa, as well as spices like vanilla and chilli. The exhibition is a generous display and clearly informs about more than 20 prominent food plants whose origin stretches from the North American forests, the Central American highlands, and down to the tip of South America – some are now integrated as everyday foods in Europe and around the World, others less known but still with great potential. Exciting details are presented about the plants’ origins, their native ecosystems, the historic background, and long journeys in reaching Europe. Mexico, due to its different climatic zones, has been a center of biodiversity; stretching from the northern temperate grasslands and deserts to the southern tropical forests – from the fertile tropical lowlands of Yucatan to the tallest mountains such as the volcanic Popocatépetl. The Tehuacán-Cuicatlán biosphere reserve in Oaxaca and Puebla is particularly rich in endemic plants and animals due to its extreme variations in topography, altitudes, soils and climates. Native Central Americans in ancient times domesticated, cultivated, and used many of those food plants that today are extensively grown throughout the World, serving as basic staple foods for a vast number of people on Earth. Maya, Aztecs, Olmecs, Toltecs all based their splendid cultures on the availability of nutritious foods that included beans, corn, pumpkins and squash, tomatoes, avocado, papaya, bell peppers, agaves, amaranth, and cocoa. The lush evergreen rain forest covering the great expanse of central and northern Brazil and parts of Peru are humid and hot with daily downpours nourishing the big rivers and providing the water for a fascinating, throbbing diversity of plant and animal life. 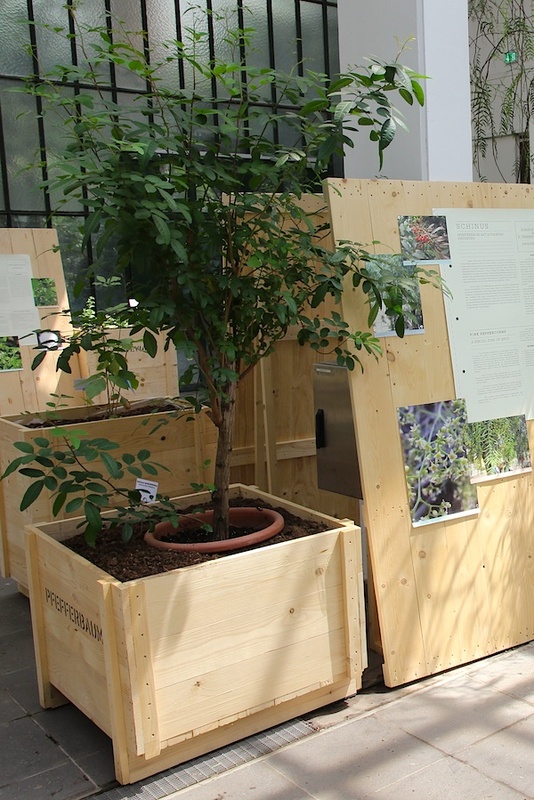 … In our exhibition we introduce cassava, guaraná, pineapple, and passion fruit as typical plants originating in the Amazon or adjacent areas. The enormous Andes stretch out at a length of 7500 km from Venezuela down to the tip of Chile and Patagonia – the highest peaks reaching heights of close to 7000 metres with snow and eternal ice and there are many active volcanoes. Between the main mountain chains are deep valleys and high plateaus which had been settled in ancient times by Incas, Moche, and Chimú and who cultivated many of the food plants that they encountered there: potatoes, tomatoes, sweet potatoes, ulluco, oca, canna, tuber nasturtium (isaño, añu, mashua), quinoa, amaranths all are native to the Andes and have a long agricultural tradition. 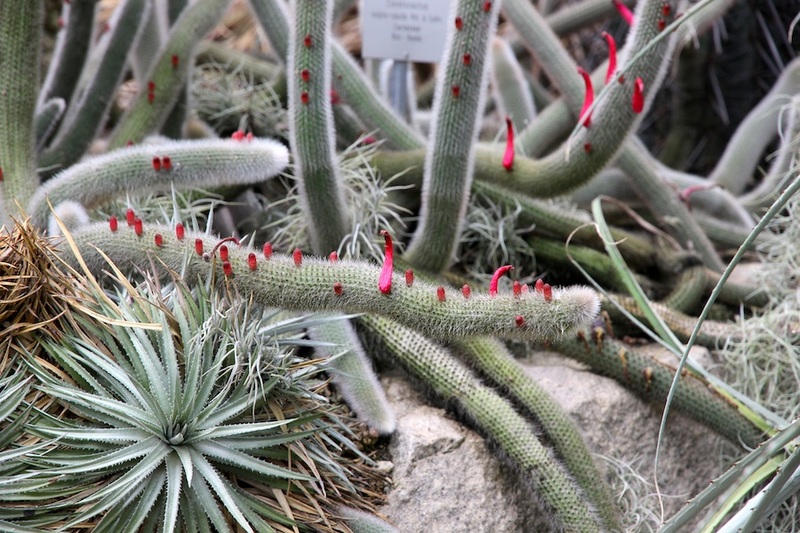 An ancient Mexican food plant, in cultivation there for more than 6000 years. Today’s corn is derived from the much smaller wild maize (teosinte, Zea mexicana). Traditionally maize was grown in mixed crops with beans and pumpkins-squash, the beans using the cornstalks as supports and the cucurbit serving to keep weeds out. The Mayas and Aztecs worshiped maize gods (Tonsured, Centeotl and others). Columbus encountered corn on his first journeys. Maize arrived in Spain in 1493, where it initially was referred to as “Turkish Corn“, as the plants apparently first reached the Near East, and were cultivated there, prior to becoming known to Europeans. Maize was able to overcome problems with other grain crops at the time and alleviate hunger, but its lack of certain essential amino acids and vitamin B3 led to malnourishment and pellagra. The availability of a more varied and balanced diet eventually improved general health and well-being – while the traditional Mexican combination with beans and squash never made pellagra nor amino acid deficiency a real health issue in the Americas. BEANS: MAJOR SOURCE OF PROTEINS … NOT ONLY FOR VEGETARIANS! Beans of the genus Phaseolus originated in Mexico, and have been cultivated in Central and South America, and the southern parts of North America for thousands of years – especially important are the common beans (Ph. vulgaris) and scarlet runner beans (Ph. coccineus). The classical American Indian food plant triangle consisted of beans, maize, and pumpkin – which are mutually complementary foods on the basis of their different nutrient content and nutritonal value. The Spaniards brought both of these plants to Europe in the 16th century, which due to their superior adaptability and disease resistance largely led to the displacement of the Old-World fava beans (Vicia faba). Pineapple had long been cultivated by native Americans before the arrival of the Europeans. It originated from the lowlands of northern South America and was spread from there to Central America – Columbus encountered them in Guadeloupe. The Portuguese eventually distributed them throughout the tropics. Long cultivated by the Aztecs for their juicy, edible cacti fruit, pitahaya was introduced to Vietnam in the early 20th century by the French, but only recently became more popular in Europe. Today they are widely grown as export produce in Columbia, Nicaragua, Vietnam, China, and Israel. Trellises or live trees serve as supports for easier harvesting of the spineless fruits; their color and scales resemble common features of Chinese dragons. Cassava has been used as a staple food by native Americans of the Amazon for thousands of years. Various strains and varieties have thus been selected by people over time. Portuguese colonists brought cassava to West Africa in the 16th century; currently Nigeria is a major producer. The Dutch established cassava plantations in Southeast Asia in the 18th century, especially in Indonesia, Thailand, and the Philippines. Cassava is now a globally important staple food and source of animal feed and used in bioethanol production. Cyanogenic glycosides are stored in cell vacuoles and released when the tissue is damaged, to then be converted into the toxic hydrogen cyanide by cellular enzymes. The plant uses this mechanism as a means of natural defense against pests and enemies. In order to utilize the plant as a food source, people have developed ingenious ways for removing the toxic cyanide. The Brazilian peppertree or rose pepper is a shrub to small tree, native to coastal S Brazil, N Argentina, and Paraguay, and the source of ‘pink peppercorns’ often added to fancy spice mixtures that have become popular in Western cuisine recently. Since ancient times, the native Americans have used the ‘berries’ for medicinal purposes, as a spice, or for making vinegar and alcoholic beverages. It is sometimes used to flavour the Mexican national drink pulque. The fruits contain essential oils which contribute to the sweet, fruity, and spicy flavour with a pine-like undertone – these are chemically dissimilar to the pungent compounds of black pepper or red peppers, however. The related Peruvian peppertree (Schinus molle) occurs naturally in the Andes from Peru to Chile, in S-Brazil, and Uruguay, but now has also become naturalised throughout the world, also widely encountered around the Mediterranean. It is a taller tree (growing to 15 m) and has finer-divided drooping leaves than the Brazilian peppertree. In the 19th century, Portuguese explorers encountered the pleasantly sour little berry growing in the Andes from Venezuela, Bolivia, Columbia, Ecuador, to Peru. The cape gooseberry (aka Goldenberry or Peruvian cherry) is surrounded by a persistent calyx which eventually turns papery brown, giving it the appearance of a ‘caped’ gooseberry. The name is alternately attributed to the fact that the fruit were successfully cultivated in South Africa after having been brought there by the Portuguese. TOMATO – NOT JUST KETCHUP! The ancestors of the present-day’s tomatoes are from the Andes of Peru and Ecuador and bear miniature fruit the size of black currants. These plants were spread early through northern South America and Central America and became domesticated by the Aztecs, who referred to them as xitomatl or tomatl. First tomatoes were brought to Europe in the 15th century by Spanish explorers, initially strictly grown as ornamentals, because they were considered poisonous – which is true for the green plant parts, partly true for the green and unripe fruits, but not the case for fully ripe tomatoes. The scientific genus name Lycopersicum, meaning “wolves’ peach”, points to this potential toxicity. Tomatoes started to be grown as a vegetable crop in Italy in the 18th century, but only gradually gained acceptance in the rest of Europe, in Germany only after World War II. American tomato ketchup has become a most popular condiment throughout the World (so tomatoes actually reached Europe twice! ); first recipes are documented from American cookbooks from the early 19th century. The term ketchup is of Chinese origin, kêtsiap referring to a fermented fish sauce, which later was adopted by the Indomalay into kecap or ketjap, which designates various kinds of soy sauces; mushroom ketchup is a salted mushroom extract popular in Britain, and neither contains sugar nor vinegar. All of the about 50 species of the genus Arachis are native to central South America. The peanut is a cultigen which had already been domesticated in ancient times in NW Argentina and S Bolivia, and having reached Central America was grown there for thousands of years. The Spanish and Portuguese brought peanut plants to India, the Philippines, and to Indonesia. Peanuts reached Africa in conjunction with the slave trade and made their appearance in Europe only in the 18th/19th centuries where attempts at large-scale cultivation in Spain and France were unsuccessful. Indigenous to tropical South America (Peru? ); domesticated from ~4500 BC; arrived in Polynesia in pre-Columbian times. Colourful varieties grown as ornamentals. 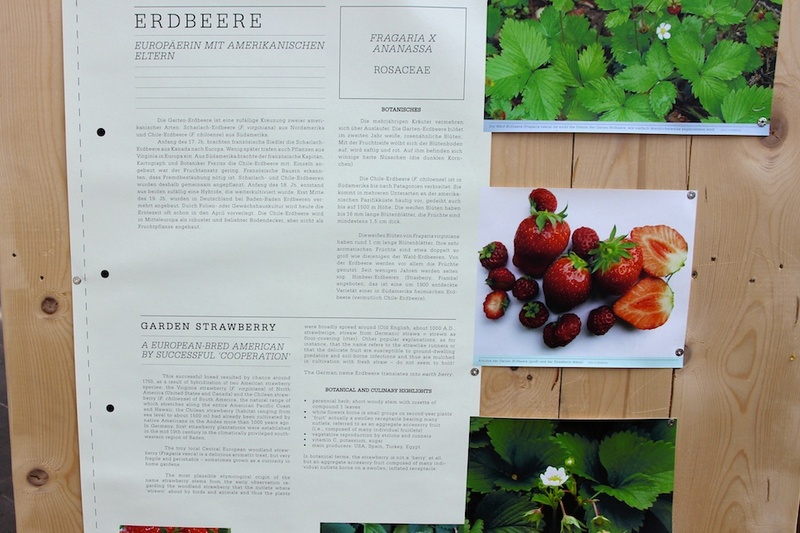 One the Palmengarten site there are similar notes for Strawberries, Agaves, Sunflowers, Jerusalem artichokes, Papaya (pawpaw), Guarana, Sugar maple, Potatoes and Cranberries, all of which are also American in origin.